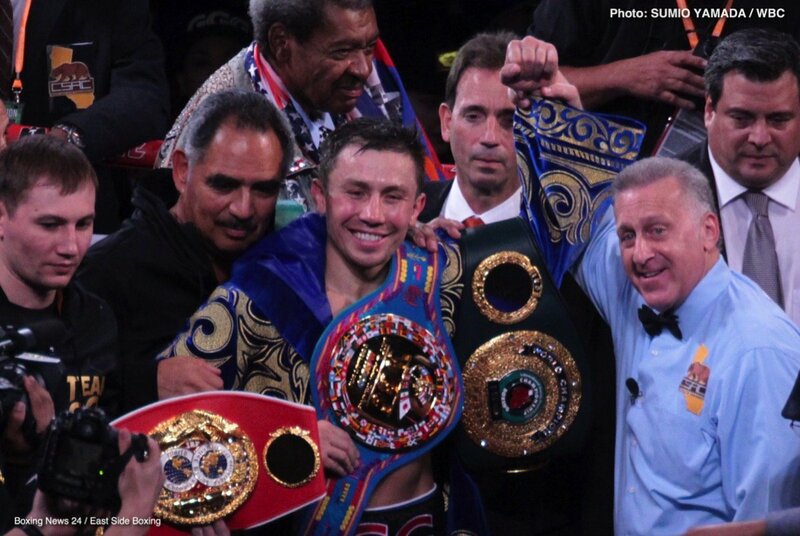 Middleweight king Gennady Golovkin has not had three fights in the same year since 2015 and until last night he had not scored a KO since 2016. 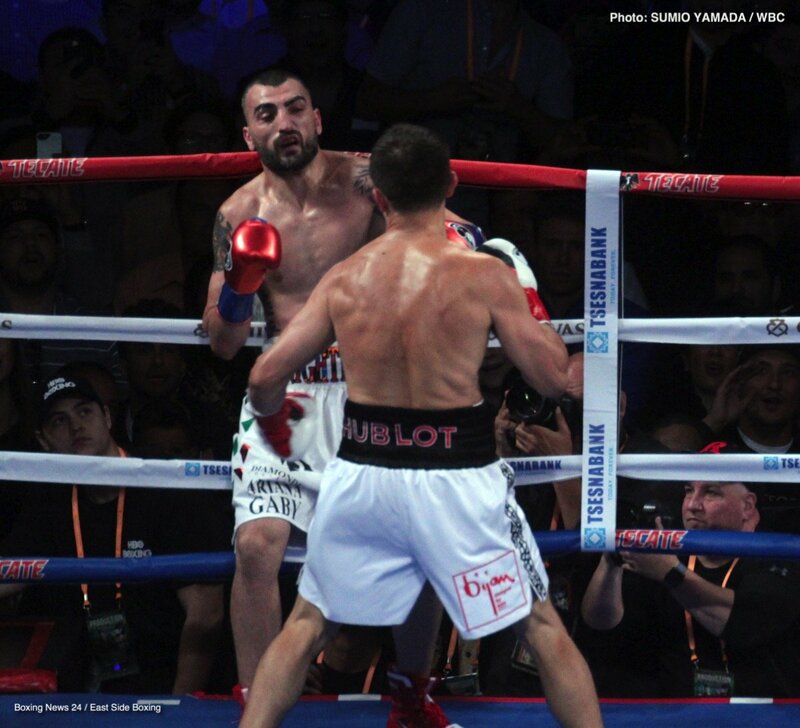 Courtesy of his crushing, and hugely impressive two-round destruction of a game but outgunned Vanes Martirosyan, GGG aims to get his activity levels back up to speed the way he got his KO streak going again. As fans everywhere know, GGG has seriously unfinished business with Canelo Alvarez and, though Golovkin stated last week how is is far from convinced the rematch will happen (“a ten per cent chance of happening,” GGG told Kevin Iole), there seems to be a big chance the sequel will happen next, in September. We all want to see it, and if money talks the way some people are convinced it will (finally, after Canelo serves his suspension for having taken, either intentionally or unintentionally, clenbuterol) it will go down in September. One other fighter who has called and called for a unification fight with GGG is WBO champ Billy Joe Saunders. Fans would presumably prefer to see Triple-G fight the unbeaten British southpaw instead of Murata. 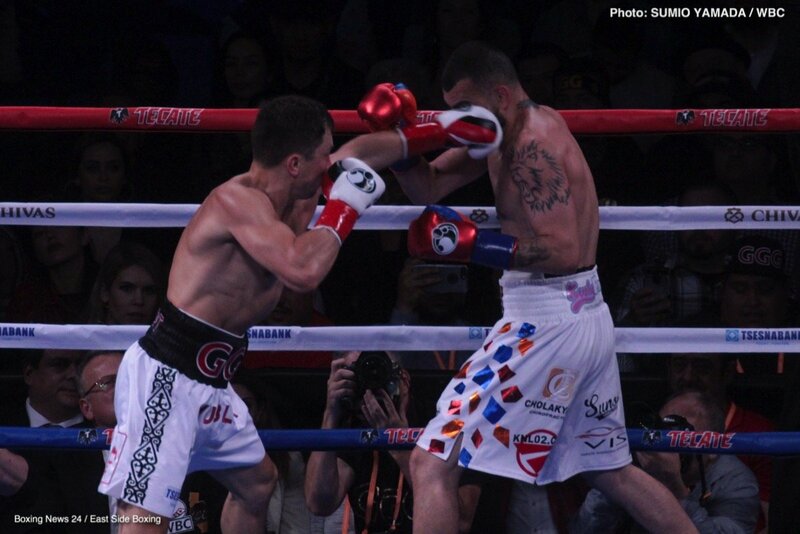 But first GGG has that massive return fight with Canelo to take care of – if it happens. 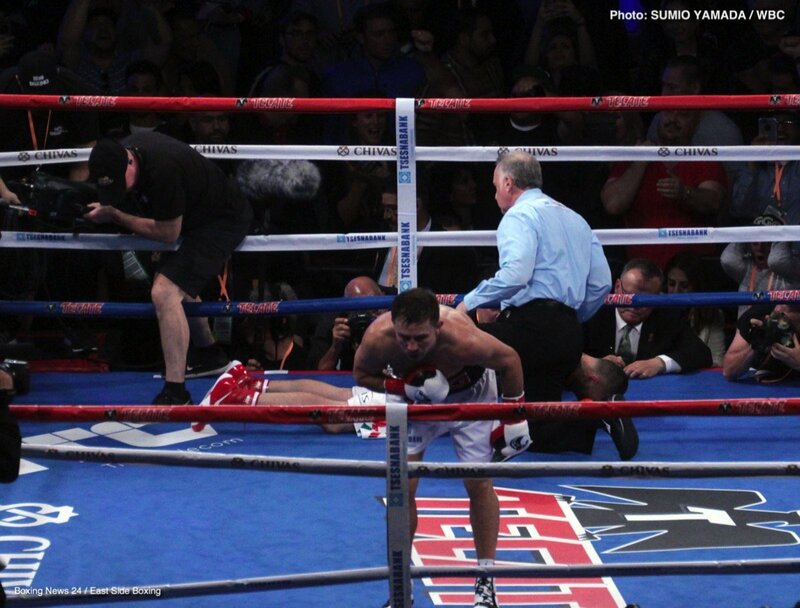 Canelo should be ready by September. GGG, as we saw last night, is indeed ready right now. 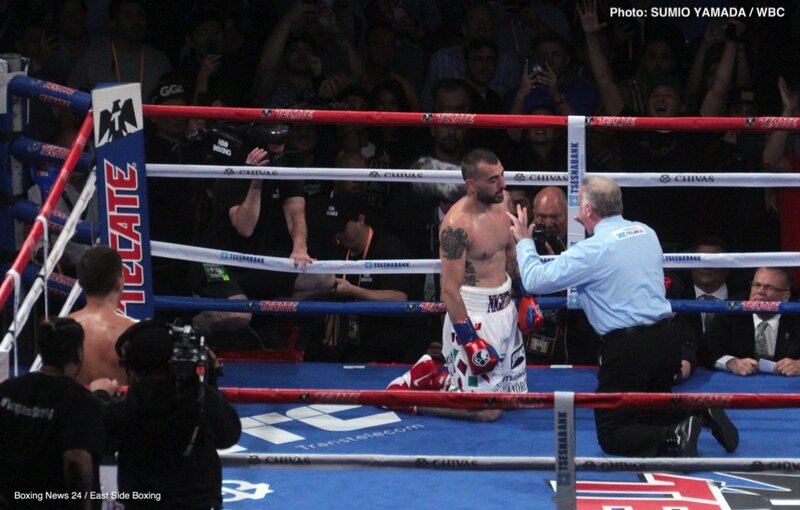 At age 36, the middleweight star, now an impressive 38-0-1(34) looks to be as good as ever.